After the foundation in 1984 the focus of the company was on providing machinery grouting service for the shipbuilding industry. The company specialized in laser alignment services and a new revolutionary machinery chocking product, the SKF Vibracon SM, was developed and patented. This product opened doors to new customers and markets. 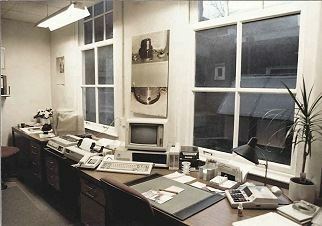 Around 1992 the company had established a good reputation in the shipbuilding industry and started to work in other industries with alignment services and machinery mounting products. 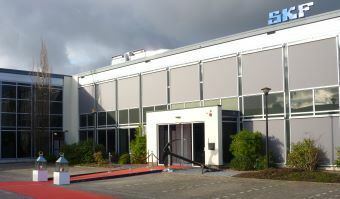 After obtaining the ISO 9001 certification (1997) and the establishment of subsidiaries in Germany (1996) and the USA (1999), the company was acquired by SKF AB in 2000. It was the policy of SKF to let Machine Support operate as a separate unit because of its specific specialities and its valuable reputation. In 2003 another patented chocking product was introduced, based on the SKF Vibracon but designed especially for the repair market, named SKF Vibracon SM Low Profile. By adding on-site machining and 3D measurements to the service portfolio, the company is able to act as a total solution provider. As the popularity of our products and services grew to new levels, we also increased our global focus. From that perspective Machine Support increased its business in the booming shipbuilding markets in India and the Far East. Also, a new office was established in the USA, which offers service activities besides the successful product sales in the USA and Canada. Recently a new dimension was added to the product portfolio with ShaftDesigner. ShaftDesigner is the first software package able to perform alignment, as well as various vibration calculations from a single base model. At present SKF Solution Factory - Marine Services acts as a globally focussed group of two companies with a network of affiliated dealers, providing complete solutions for our customers. During the successful years of operation the company has developed a reputation of excellence in alignment services and mounting solutions for an increasingly global market.